Welcome back to the USA. I hope you are enjoying your visit to NYC. 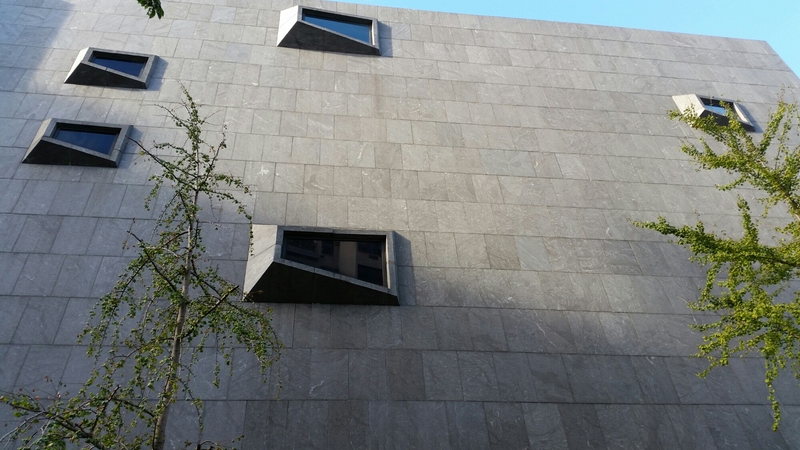 Brutalism is a good word to describe the Whitney, both inside and outside, but I think posting the picture in a landscape format would provide a more accurate view for your readers who may not be familiar with the museum. I’ve seen the building more times than I can count, and had to check online to determine what angle you captured. 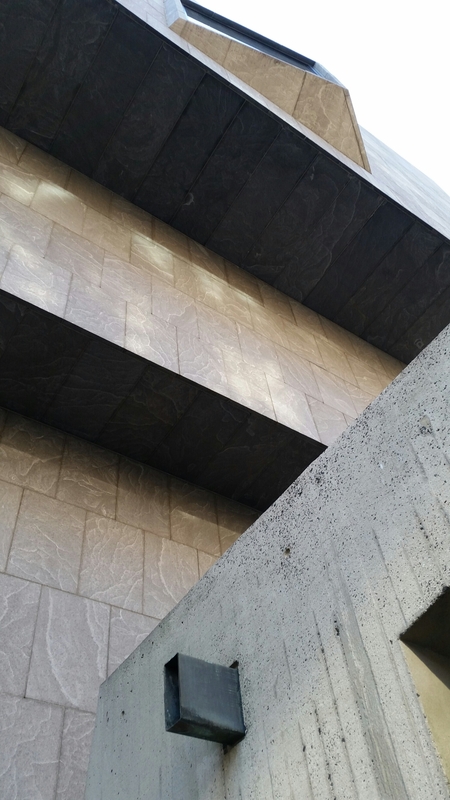 I can’t help but wonder what you would say about the archetecture of the new Barnes Museum in my neighborhood in Philadelphia. 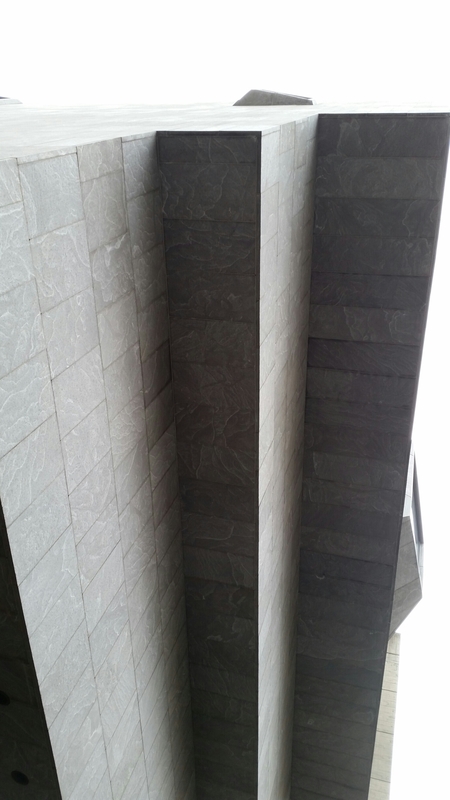 Yes, but I wanted to give a sense of the quality of its abstraction which I hoped the photo did (it’s taken from below the entrance front in the street corner of the courtyard).